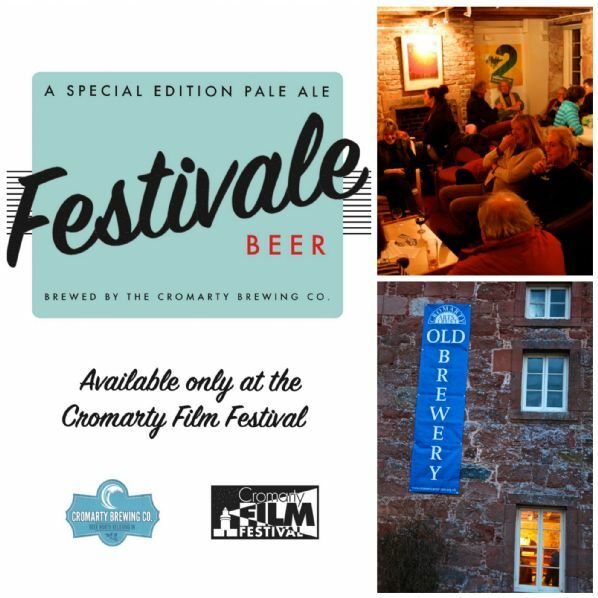 The Cromarty Film Festival Hub & Cafe is at the Old Brewery and is THE place to hang out in between and after your movie watching! It's cosy & welcoming and with a bar and cafe to satisfy your food and drink requirements, where else would you want to chill with like-minded festival-goers? This year, the cafe will be run by award-winning restaurant, Sutor Creek - see the delicious menu below. Local Cromarty Brewing Company beer, red & white wine, whisky - all £3; soft drinks £1. What’s better than an award-winning Cromarty Brewing Co. beer? Only the special edition ‘Festivale’ developed to help thirsty cinephiles and festival fanatics celebrate the friendliest film festival in Scotland! A base of Happy Chappy and a dash of filmic magic and you have the perfect pint. Once again the Hub will have Festivale on tap to complement our small but perfectly formed café menu.